ISO is an independent, non-governmental international organization with a membership of 163 national standards bodies. Through its members, it brings together experts to share knowledge and develop voluntary, consensus-based, market relevant International Standards that support innovation and provide solutions to global challenges. Health Careers Institute has secured the ISO 9001:2015 certification for the Development and facilitation of direct and online Professional training in the field of Health care and Work safety. Maxworth Minerals has received the ISO 9001:2015 certification, as recognition of our Quality Management System which complies with the stringent requirements of the International Organization for Standardization(ISO). This certificate covers all our activities under the scope of Processing, Grading, Trading and Export of Industrial Materials such as Garnet, Ilmenite, Sillimanite and PS Ball. 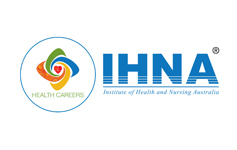 The Institute of Health and Nursing Australia (IHNA) is a Registered Training Organisation (RTO) approved by the Australian Skills Quality Authority (ASQA) to provide education and training courses in the fields of nursing and healthcare. As one of Australia’s leading providers of comprehensive health and nursing education, IHNA’s high quality healthcare courses open a multitude of education pathways and are complemented by continuing professional education and upskilling programs. These work ready programs are available at campuses in Perth, Melbourne, Sydney and in Cochin, India as well as in Malaysia, Philippines and the Middle East, and via blended delivery which allows students to balance their study and work commitments. IHNA is a fast-growing, dynamic and quality-driven institution committed to continuous improvement and that is working hard to develop, implement and deliver courses and professional development programs. IHNA is a member of ACPET (Australian Council for Private Education and Training). The Institute of Health and Management (IHM) is accredited in Australia by the Tertiary Education Quality and Standards Agency (TEQSA). 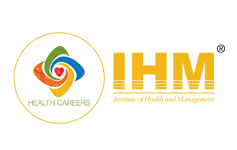 IHM understands that its students come from diverse backgrounds, and from many areas including Australian and overseas trained healthcare professionals, new students or students looking to continue their life-long learning goals or re-entering the healthcare sector after a time away from the workforce. Founded in February 2012, IHM’s focus is the development and delivery of quality postgraduate higher education courses for nurses. Courses are available in online and classroom based delivery modes and are created by experienced nursing academics and clinicians with extensive experience in online teaching and learning. The Australian Workforce Productivity Agency projects a growing need for increased and additional qualifications for nurses over the next two decades. IHM is working to raise the level of qualifications in the healthcare sector (especially in nursing specialisation), consistent with this emerging demand and to increase the scope of practice for healthcare workers. MWT Education Consultancy is a member of the Kerala Chamber of Commerce & Industry, an organization that promotes and develops trade and industry in Kerala, and functions as a central forum for businesspersons from all industries. KCCI strives to transform Kerala to a world-class economy with vibrant growth in every sphere. 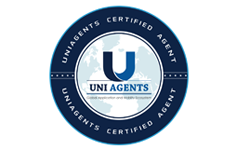 Uniagents Agent Certification is a prestigious status for agents as it recognises the organisation’s ability to conduct Education Consulting with the highest level of professionalism. The status have three different levels, and each level brings various benefits and the organisation positioning in the world of International student mobility. Each Certified Consultant has a public profile which can be rated by Institutions, Governments and Students. 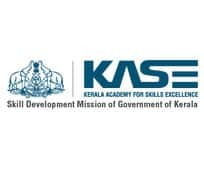 With the objective of skilling the young workforce of Kerala and elevating their skills to global standards for employment in India and abroad, the Government of Kerala has set up Kerala Academy for Skills Excellence (KASE), a non-profit public company as the nodal agency for all skill development activities of the state. KASE promote, establish, setup, monitor, govern and regulate institutions and academies for skills excellence for development of core employability skills, competency standards and for promoting technology that meets the demands of various industries, globally. KASE also provides accreditation to skill training institutions, subject to adherence of accreditation conditions, through a high level committee of experts constituted for the purpose. 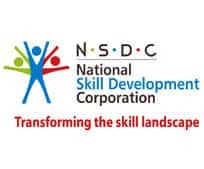 National Skill Development Corporation (NSDC) was set up as part of a national skill development mission to fulfil the growing need in India for skilled manpower across sectors and narrow the existing gap between the demand and supply of skills. The NSDC, is working under the Ministry of Skill Development and Entrepreneurship with an aim of making India the skill capital of the world. The overall objective of NSDC is to create training capacity in the country, fund scalability and sustainability of private enterprise, create a market ecosystem for skill development and meet the targets set out by the Government. HCI is an NSDC accredited training provider as an India International Skill Centre (IISC) and to deliver courses with Pradhan Mantri Kaushal Vikas Yojana (PMKVY) training scheme. 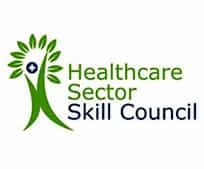 The Healthcare Sector Skill Council (HSSC) is a “not for profit” organization created by National Skill Development Corporation (NSDC), Confederation of Indian Industry (CII) and leading healthcare service providers representing both public and private sector in the country. The key objective of the council is to create an ecosystem for quality vocational education in allied health in the country. As a part of the Eco-system, the Healthcare Sector Skill Council, through extensive industry consultation & participation, has developed National Occupational Standards (NOS), accreditation protocols and accreditation of training institutes, third party assessment of trainees and certification. HCI in collaboration with HSSC is the training center for various HSSC courses and also organizes “Training of the Trainer” (TOT) programme for various job roles. The key objective of the Council is to create a robust and vibrant eco-system for quality vocational education and skill development in Allied Healthcare space in the country. In addition, the Healthcare Sector Skill Council aims to serve as a single source of information on heathcare sector with specific reference to skill and Human Resource Development in India. Additional Skill Acquisition Programme (ASAP) is a joint initiative of General and Higher Education Departments, Govt. of Kerala. The motto behind this program is to generate more employable skills in the student population of Kerala by providing sector specific skill training programmes along with regular academic studies. This special training would be conducted during vacation and other holidays. The training would be conducted in three levels, Communicative Skills in English, Basic IT training and Elective Domain Specific Skill Course. The programmes are developed, delivered, assessed and certified with the active participation of the related industries to ensure labour market acceptance of the programmes. 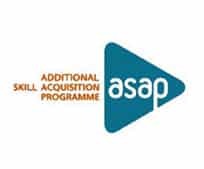 HCI is collaborating with ASAP as a training service provider for Elective domain specific skill course. HCI is offering the course “Home Health Aide” in ASAP skill development centers, at GHSS, Muvattupuzha, Ernakulam and GHSS, Chandiroor, Alappuzha. 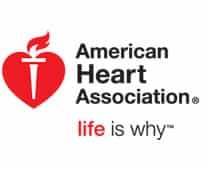 The American Heart Association (AHA) is a non-profit organization in the United States that fosters appropriate cardiac care in an effort to reduce disability and deaths caused by cardiovascular disease and stroke. Originally formed in New York City in 1924 as the Association for the Prevention and Relief of Heart Disease, it is currently headquartered in Dallas, Texas. The American Heart Association is a national voluntary health agency. They are known for publishing standards on basic life support and advanced cardiac life support (ACLS), and in 2014 issued its first guidelines for preventing strokes in women. They are known also for operating a number of highly visible public service campaigns starting in the 1970s, and also operate a number of fundraising events. Health careers Institute is an authorized training centre for American Heart Association’s Basic Life Support (BLS), Advanced Cardiovascular Life Support (ACLS) courses from 2013 onwards. HCI won the Silver Recognition Award from AHA in the year 2015 and 2016 in acknowledgement of an exemplary first aid, CPR, advanced care and life saving program. 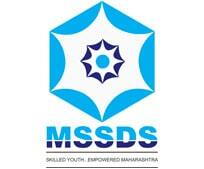 Health Careers has been selected and empaneled by MSSDS (Maharashtra State Skill Development Society) as a provider of funded training programs within the ILSDP program. The program aims to create opportunities and scope for the development of the skills and job opportunities required by industry for workers to enter the healthcare sector. The Government of Maharashtra aims to provide demand driven industry training that enables marginalized cohorts to develop skills and progress on to employment opportunities and sustainable livelihood options. The Abu Dhabi Company for Onshore Petroleum Operations Ltd. (ADCO) operates onshore and in shallow coastal waters of the Emirate of Abu Dhabi, one of the seven members of the United Arab Emirates which was established on 2 December 1971. In 1962, the Company has renamed the Abu Dhabi Petroleum Company, ADPC. On 1 January 1973, the Government of Abu Dhabi acquired a 25% interest, which was increased to 60% as on 1 January 1974. The Government interest is held by the Abu Dhabi National Oil Company, ADNOC. ADCO was incorporated under Law No. 14 for 1978, on 8 October 1978 and has been responsible, since February 1979, for operations in the concession area, which after relinquishments, now covers more than 21,000 km2 (8,100 sq mi). The Company produces mainly from six oil fields: * Asab * Sahil * Shah * BabBuhasa * North-East Bab (Dabbiya, Rumaitha and Shanayel) With the approved ADCO A1 Premium Garnet, our clients are able to handle their projects with greater ease and perfection. 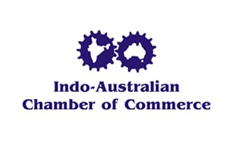 Maxworth Group is a member of the Indo-Australian Chamber of Commerce, which represents leading Australian and Indian companies doing business across and between the two countries. The Chamber has helped many Indian companies to establish long-term business relations and effective partnerships with companies based in Australia. Maxworth is proud to be a part of this Chamber, which encourages new ideas, new products and new technologies. Through this membership, Maxworth has connected with an extensive network of contacts in Australia, and with the Australia India Business Council, the association of the Indian business community in Australia.